27 years after a virus wipes out most of humanity, scientists send James Cole back to 2015 to stop the plague from ever happening. Coles only lead is virologist Dr. Cassandra Railly, who knows the dangerous source of the outbreak. Coles search for the location of the virus leads him to 2014, and to a devastating moment in Dr. Raillys life involving a dangerous outbreak in Haiti. A fight for the future ensues when a dangerous band of marauders hunting for Cole and Ramse threatens the mission to save the past. 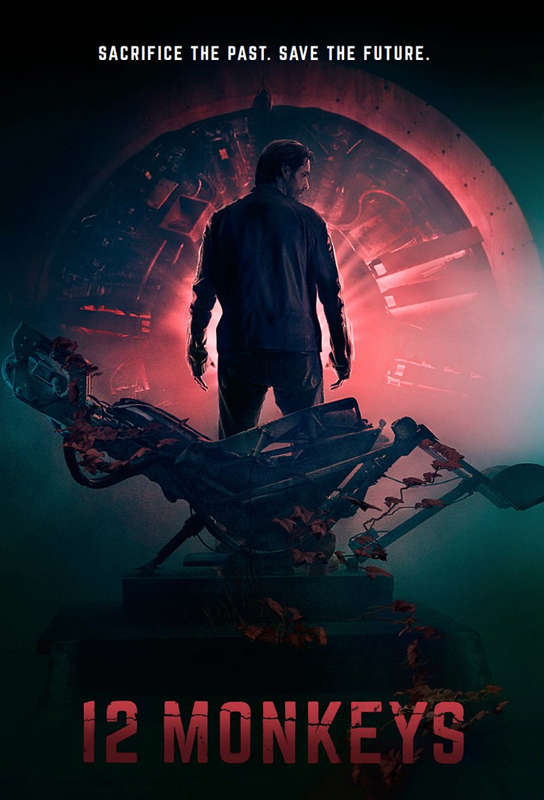 Cole and Dr. Railly face off with the Army of the 12 Monkeys when both discover the Night Room – an off-site, black ops lab that houses the virus that will one day destroy the world. The Core that powers the time machine is fading. To get Cole back from the past, Jones must convince her former colleagues at the military operation Spearhead that her mission is worth saving. Cole finds himself in 2017 at the height of the plague. Out of options, Jones faces an impossible choice to replace the Core. Forces come to a head when Ramse does what it takes to protect his newfound family, leaving Cole to deal with the aftermath. Cole and Railly attempt a final confrontation with their closest enemies, while Jones faces a new threat to all that shes accomplished.